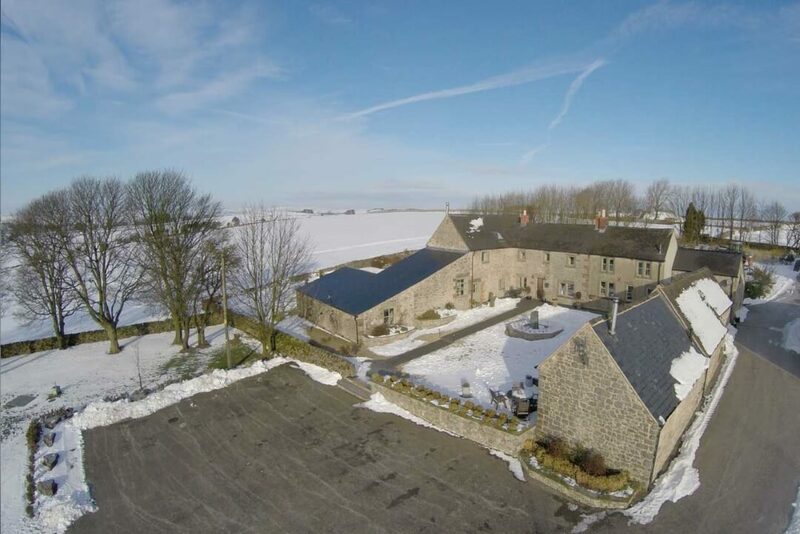 The snow globe arrived at Uppermoor Farm late on Thursday night (29th January) turning parts of the beautiful Peak District into our very own white winter wonderland….Fortunately, our resident “handy man” with his big farm tractor and bucket cleared all of the car-park area and drive relatively easily to give a ‘clear runway’ for our lovely guests from Cheshire arriving on Friday afternoon to celebrate a 30th birthday in the group. 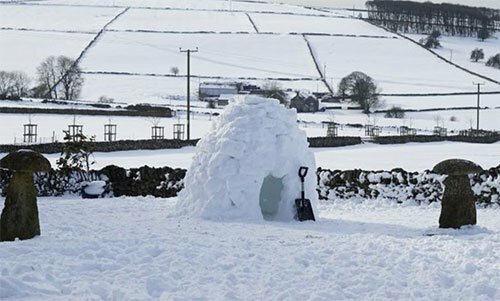 You can see the ‘boys just couldn’t wait to have outdoor fun’ building an Igloo on the rear lawn to add to the ‘party camaraderie’ or maybe for additional storage for the cans of beer and bottles of wine!! Happy 30th Birthday Greg and what a ‘wonderful white scene’ as a back drop to your celebrations! The snow continued to hang around completely embracing the rural countryside for almost a week. We would like to add that all minor roads were totally accessible, but you needed to pull on your ‘walking boots’ and ‘warmest coats” to enjoy all of this white landscape at its best. 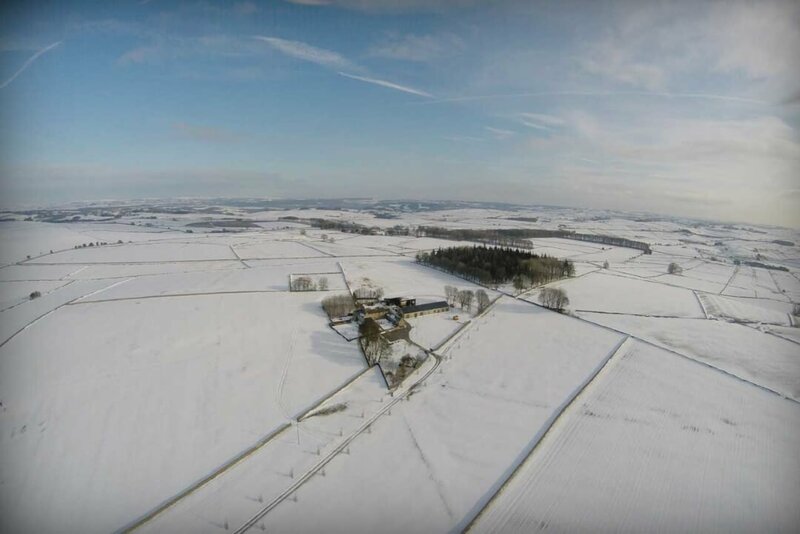 On Tuesday 3 Feb we had a visit from our fantastic website designer and photographer (David Webster) to capture the most amazing ‘white scenes’ for our website ~ take a look yourselves! !